As you know, I have been trying to be better with my skin (so far so good! ), and although skincare products and makeup are separate categories, to me they go hand in hand. I want my makeup - specifically face makeup - to benefit my skin just like my skincare products, while of course still doing their job! 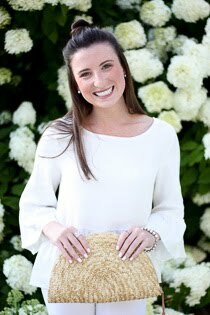 I started using bareMinerals a few years ago, and haven’t looked back! I love the idea of makeup being natural & pure, and feeling like it is doing something good for my skin. When bareMinerals released this product, I was very intrigued. 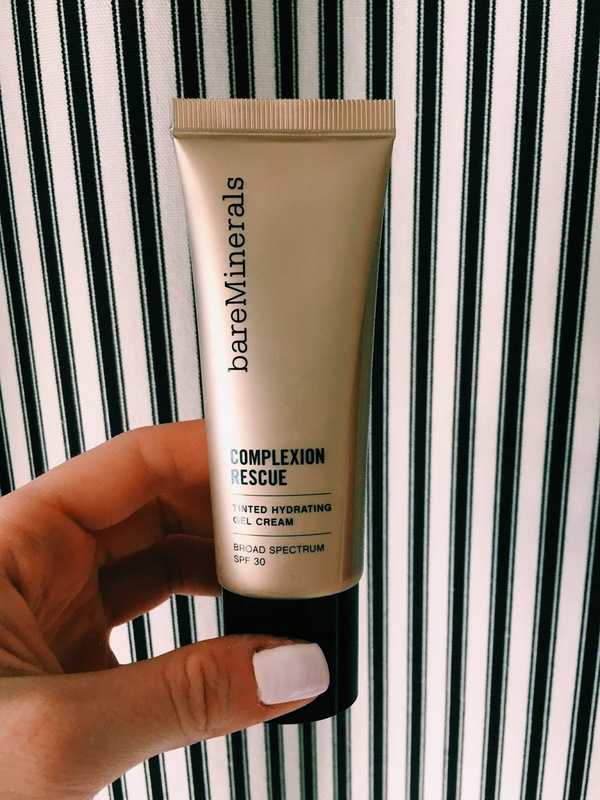 Complexion Rescue is described as the best of a BB, a CC, and a tinted moisturizer. It almost sounds too good to be true! I kept contemplating giving it a try, but at the time I was happy with my face makeup, so I didn’t really feel a sense of urgency to give it a go. It took me long enough, but after hearing again & again how good it was, I finally decided it was time to see for myself. I have been using it for just about a week, and I love it! I had no idea what I was missing out on, and if I had I would bought it so much sooner. Trust me. I have been using this product after I apply my face moisturizer, and I really love that I can either stop here or continue on with the rest of my makeup routine. It’s the perfect product to throw on with a sweep of bronzer & blush for days requiring less makeup, but when you still want to look equally put together. On the other hand it serves as a great base before using my bareMinerals powder foundation. Either way I seriously feel like my skin is glowing! I just love it. One of my favorite parts about the bareMinerals Complexion Rescue is that since it is a hydrating gel cream, it really does an amazing job keeping my skin soft and moisturized. It is perfect for this time of year as everyone is trying to ward off the dry skin that comes around in winter. I was a little bit weary that since my skin is on the more combination/oily side this product would make my skin shiny or a little too oily, but it has not been an issue at all. I can't go without mentioning the fact the this product also contain antioxidants, electrolytes, humectants, and an spf! It's basically a skincare product disguised as makeup. 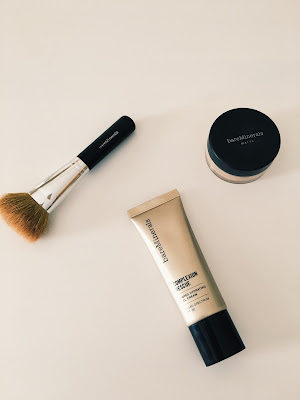 I really am so pleased with this product - bareMinerals you have done it again! p.s. the nail polish in the first picture is essie east hampton cottage!